The last few days have been nothing to write home about. First, the Nigerian Labour Congress went on a four-day warning strike, then my school decided to suspend her ongoing examinations to join the strike. invariably, my examinations were postponed, graduation extended and my urge to step out of school is now overfilled. Why did it have happen now? 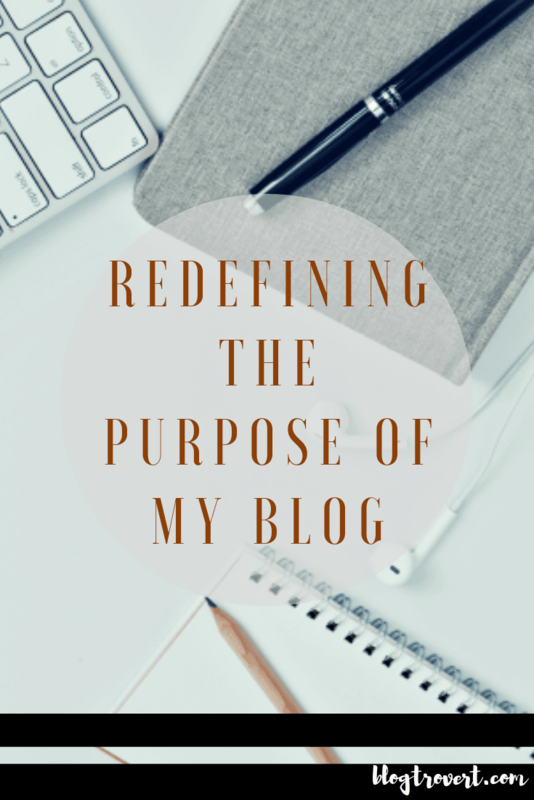 Rejuvenating The Purpose Of My Blog? If you’ve noticed, my blog have been extremely quiet, save for some casual and sponsored posts. Yes, most times it’s not that I have nothing to blog about, but that I basically do not know if what I have up in my head will fit into the niche I’ve created, when published. I have asked questions and gotten a few feedbacks, yet I still struggle with what kind of contents to posts up here most times. It’s okay to wonder why I haven’t been stable with my 2 year old blog… Yes, my blog actually turned 2 on August 18th, 2018, yet I forgot to celebrate her; credits goes to my school for being so selfish with every attention I had. It’s been 2 years now that I’ve claimed to have a focus despite not having any due to inconsistency. Yes, my blog needs a change, she needs a rebirth, and she needs a focus, at least something that she’ll be known for. When she’s asked, I’d love her contents to answer, not some stuttering content creator. If you are wondering why I’m suddenly sullen about the growth of my blog, then it’s because I’m gradually getting pulled out of one excuse I wouldn’t be able to use anymore, school. Initially, in times of inconsistency, writers block and information overload, I’d say school, I will blame everything on the fact that I’m a student who shares her attention. Now the infamous and constantly used excuse is fading away and I do not want to create for myself a new one which probably will be something flimsy. So, most definitely, my blog needs redefinition and her focus rekindled. Also, aside improving on my contents, it’s time to groom my blog into becoming asset that can earn me passive income. Yes, it’s possible, probably would have began already if I’ve been dedicated and a little focused. I wouldn’t want “a once in a while income” but “a frequent income” from my blog. I’d want to believe that I’m actually ready to change the rules of the game and how it has been played. Now that you’ve known why my blog needs rejuvenation, reborn, redefined, or whatever you make of it, my apologies goes to my few avid readers; I know I haven’t been one hell of a badass blogger and I’m ready to make a change… I’d focus better on the purpose of my blog; LIFESTYLE, my MAKE MONEY attempts and of course my little sharable BLOGGING knowledge. Maybe I’ve claimed to share these information, but I know I haven’t done as much as expected… I will be better, I know I should, I want to and I would. There are a lot of information held up in my head, but I’ve let worries hold them within for so long. As the days go by, my education comes to a successful end, I hope I can give to you in full shades all I have in stock… No more excuses or a reason to endure more information overload as I’d be pouring them out as they stroll in. Maybe with your wassap number if u use the app. Just wanna see you at the top. No matter way/method you’d employ to step up your game. Can’t wait to see a better blogtrovert.com. Awww. You do you honey. Congrats on leaving school. 😂😂😂 Your school excuse is about to expire. Lol… Yeah, thanks for dropping by. Awwww I could literally hear your voice while reading this post. Loved how your communicated your struggles with us effortlessly. I hope your plans come through girl. That’s good for sharing the bad side you are facing also. Some blogger don’t talk about their challenges. What I would have advice you to do is schedule a task each day for your blog. Research on trending topics, challenges and other topics that can help. You can download this app on your phone or laptop. Just add your task and get notifications on task that you need to work on. Remember consistency is the way to success. Trending custom mug prints 9ja @ 58 still available.